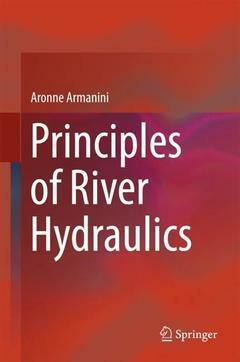 This book presents key principles of the hydraulics of river basins, with a unique focus on the interplay between stream flows and sediment transport. Addressing a number of basic topics related to the hydraulics of natural waterways, it above all emphasizes applicative aspects in order to provide the reader with a solid grasp of river engineering. The first chapter explores many of the fixed base hydraulic topics that are normally neglected in traditional texts, namely the effects on motion produced by the vegetation and macroroughnesses that characterize many mountain streams. The remaining chapters are devoted entirely to hydraulics with mobile riverbeds and put particular emphasis on inhomogeneous river channels. The book?s approach goes beyond classical treatments, so as to not only introduce readers to the fundamentals of mobile riverbeds, but also enable today?s river engineers to successfully design and maintain natural riverbeds. Roughness in Streams with Fixed Ground.- Transport of Sediments.- Requirements for Initial Motion.- Resistance in Riverchannels with a Mobile Ground.- Transportation of Ground.- Transport in Suspensions and Total Transport.- Mathematical Models of Morphological Evolution.- Localized Excavation.- Granular flows driven by gravity.